When I was 14 years old, I read The Lord of the Rings for the first time, and a love affair with high fantasy was born. At least, that’s what I like to think. In reality, as I look back on my reading over the years, there’s very little high fantasy among my favorites. There are a few series that I adore, but percentage-wise, I’ve actually read very little high fantasy. I’ve only actually attempted 10 of the series on this Wikipedia list, and I gave up on three of those out or boredom or irritation. I think the reality is that I fell in love with Tolkien and with the idea of high fantasy. But because I do love the idea of good high fantasy, I keep trying. The Belgariad series by David Eddings came to me highly recommended years ago. The omnibus edition that I read contained the first three books in the series, Pawn of Prophesy, Queen of Sorcery, and The Magician’s Gambit. The story is set in a land created by seven Gods. In the prologue of the first book, we learn that many years ago, one of the Gods, Torak, stole a powerful orb created by another God, Aldur. Eventually, the orb is recovered by Belgarath the sorcerer and given to the family of King Cherek whose son Riva took the orb far away, where it would be out of Torak’s reach. This is the legend that undergirds the story in the Belgariad. The actual story itself begins thousands of years later, with a 14-year-old orphan boy named Garion who lives on a prosperous farm with his aunt Pol, the farm cook. Every now and then, an old man who Garion dubs “Mister Wolf” shows up to tell stories and share news. One day, he brings the news that an important and mysterious object has been stolen, and he and Pol decide to pursue the thief, bringing Garion along. Soon, Mister Wolf and Pol are gathering a band of allies, and Garion realizes that these two people he has known all his life are not at all the people he thought they were. In crafting his world, Eddings does a lot of things right. He has created a fully fledged other world, with many different kingdoms and a long history that seems to extend beyond the pages of these books. And by having us travel this world with Garion, we’re able to get acquainted with it a bit at a time. There were a few points early on where the names of the different Gods, races, and kingdoms were coming at me too quickly, but I just let them pass me by, assuming that the important ones would come up again—and they did. However, there’s also a lot that Eddings doesn’t do so well. For one thing, the overarching story is incredibly predictable. Part of this comes from the fact that there is a prophesy involved. When there’s prophesy, it’s not hard to see what’s coming, especially when clues are dropped like anvils. But what was maddening for me was that Garion couldn’t put things together. Some of his cluelessness has to do with his youth and with Pol’s decision not to educate him much. But it was still frustrating, and I couldn’t see a clear reason for it. I don’t know if Eddings thought he was being subtle, or if readers are supposed to feel smugly in the know, when Garion is in the dark. I also felt that Eddings just doesn’t raise the stakes for his characters enough. There are plenty of moments when the characters are in danger, usually because they are being pursued by the Murgos, the people of Torak. But the Murgos simply do not strike terror in the heart. I never got the sense that they were more powerful than Garion’s allies. They just weren’t nasty enough—at least not until well into the third book, where things turned suitably dark. Also, most of the first two books had an episodic structure, as Garion and company traveled from one kingdom to another, usually picking up another ally along the way. Some of these adventures were good fun, and some of the supporting characters are wonderful (the comically boastful and chivalrous knight Mandorallen was a personal favorite), but the action doesn’t really build for two entire books. The story of the orb is always there in the background, but it doesn’t feel weighty. I know it’s an unfair comparison, but I can’t help but think of how in The Lord of the Rings Tolkien never lets readers take their eyes too far from the central quest—destruction of the ring. Yes, the characters have other dangers, but this one quest is the one that truly matters. Plotwise, I think that is the case with the orb, but Mister Wolf and Pol seem to be the only characters from Garion’s group who think much about it. I know this review is sounding terribly negative, and if I’m to be completely honest, I must say that if I had been reading this as three separate novels, I would have stopped at the end of Queen of Sorcery out of boredom and annoyance. (I really disliked the female character, Ce’Nedra, who was introduced in that book—and I was incredibly irritated that I knew exactly what her role was the moment she appeared without being told.) However, this being an omnibus, continuing into the next book required less effort than picking up another book would. So I pressed on. This proved to be a very good thing because the final book in this volume, Magician’s Gambit, was a marked improvement over the other two. The exposition starts to give way to rising action, and the story finally gets exciting. The scary bits are finally scary, and the evil characters are finally evil enough. I found that I was starting to care a bit about what was going to happen, and there are a few aspects of the characters’ futures that do seem open to multiple possibilities. Although I did find that the series turned around a bit by the end of the third book, I can’t say I’m in love with it. I do know this series is well-loved by many readers, and I have a feeling I would have adored it if I’d encountered it when I was in junior high or high school. (Predictability is less of an issue when you’re a less experienced reader.) And I think, too, that I’m a harder sell than I’ve thought when it comes to high fantasy. I’m interested enough to keep going, which is an improvement over where I would have been had this volume ended with Queen of Sorcery. I am going to take a quick break, just to let my annoyance at what I didn’t like subside and let my anticipation for the resolution build, but I do want to see where the story goes. So while it’s not a complete success for me, it’s not a complete failure. Sort of a middling read—I suppose they happen to us all. Edited to Add: After a couple of days of looking at the next volume of The Belgariad and feeling nothing but dread at “slogging” through it, I’ve decided not to read the final books in the series. Thanks to Wikipedia, I now know what happens to the characters, and I am satisfied with that. I can see that–I think I like my high fantasy to be on the deeper, darker side, or else just outright aimed for young audiences, which this only sort of was. That phenomenon of predictability, especially in terms of knowing what a character’s role will be as soon as they’re introduced, almost always makes my teeth ache with annoyance (the exception is probably when I’m reading something like noir and know there will be a femme fatale, a sinister villain, etc., but even in those cases I welcome a surprise or two). I hope the final installments in this series improve enough to make the big up-front investment worth your while. Yeah, I think, especially based on the article Clare links to below, that Eddings is aiming at archetypes, which can work in much the same way the noir archetypes you mention do. I probably wouldn’t have minded so much if the predictability had not been paired with the main character’s cluelessness! I had a similar response when I read the first two books of the Belgariad. In fact, I didn’t ever make it to the Magician’s Gambit; maybe I should give it another try. I also agree with you that I probably would have enjoyed them more in junior high or high school. 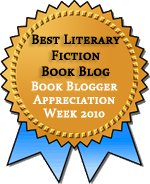 If you find yourself looking for another high fantasy novel to try, may I suggest The Name of the Wind, by Patrick Rothfuss; Way of Kings, by Brandon Sanderson; or The Thief, by Megan Whalen Turner. The first two are adult books; the second is a middle grade/young adult book (and quite a bit shorter than the first two). But all three are among my favorite books. I’m glad to know I’m not the only one. And even though I did think Magician’s Gambit was an improvement, it still wasn’t great, just good enough to make me curious. And thanks for the recommendations. The Thief has been on my list for ages. I’ll be sure to look into the others as well. Great review. I got really excited in the beginning, thinking perhaps this could be a new fantasy series for me to check out (I, too, am always on the hunt for a new one to whisk me away), but after your honest opinion I don’t think I’ll rush out for it. The same things that annoyed you would annoy me for sure. But I am glad you posted this, and I’m going to look at the Wikipedia link. Happy holidays! That Wikipedia list is terrific. It reminded me of several series that I’ve wanted to try. As I was reading your review, I started wondering where I’d encountered The Belgariad before—and then I remembered that the TVTropes entry starts off talking about how it’s wholly and gleefully unoriginal—and that’s not just their opinion. 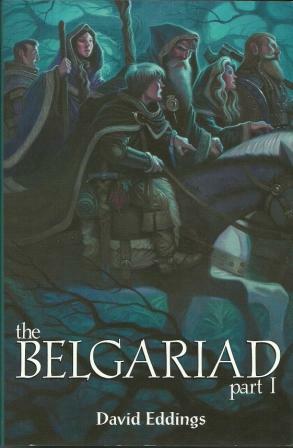 I’ve said (too many times, probably) that if you read the first hundred pages of the Belgariad, I gotcha!! You won’t be able to put it down. The use of archetypal myth in the creation of fiction is the literary equivalent of peddling dope. I actually have Polgara the Sorceress on my shelves for whenever I need high fantasy without thinking, but I’m almost impressed by Eddings’ view of his own work. Thanks so much for sharing that! The whole derivative archetype business is a huge part of the predictability, and there’s something reassuring in knowing that Eddings was at least doing it on purpose–but I must be immune to the dope he’s peddling because it took way more than 100 pages, and even now I could step away from the series with no regrets! Too bad this one didn’t work for you. I’ve always flirted with high fantasy but never gotten serious about reading it, other than Tolkien. I’ll have to check out that list on Wikipedia to get some ideas of some to try. That list is a good source, I think.